Outlook user have authentication to delete one of them and most of time, user deletes the "Unread Mail" option by assuming it useless. 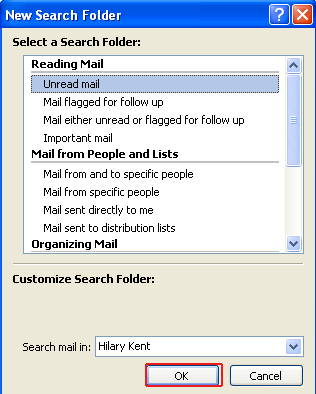 But a user can restore the unread mail folder in Outlook 2007. Step2: A new pop-up window will occur and in this, click on the "Unread Mail" in the "Reading Mail" section. Step3: Finally, click on the "Ok" button. 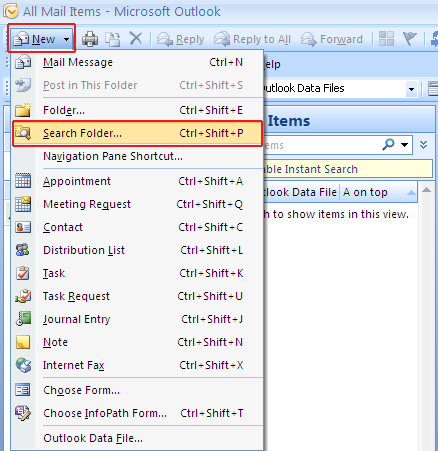 Tips: You can also open the "New Search Folder" by simply pressing the Shift+CTRL+F9.